We are committed to offering a quality educational experience in a compassionate and respectful environment. Our programs and services are designed to instill character, dignity, and competence. 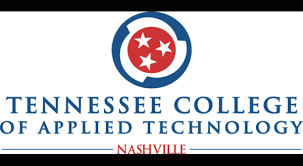 To date Tennessee Technology Centers have served over 35,000 students.The Tennessee College of Applied Technology Nashville stands ready to provide you with the most up-to-date, comprehensive technical training available. We are committed to offering a quality educational experience in a compassionate and respectful environment. Our programs and services are designed to instill character, dignity and competence.